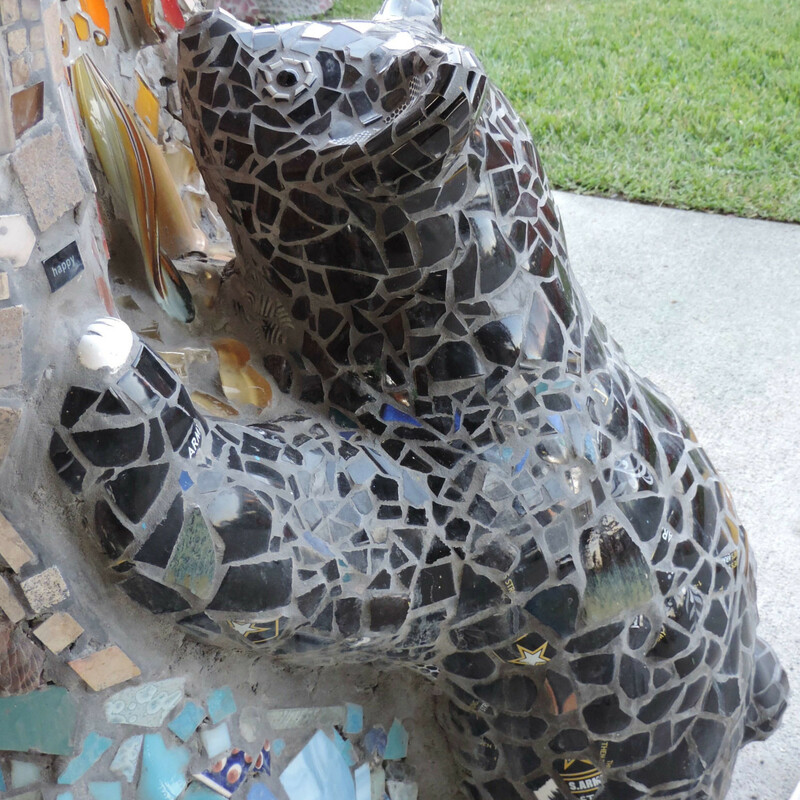 Houston possess a plethora of parks and green spaces, but only in Smither Park, do dragons, bears, octopi, and guitar playing armadillos roam freely. 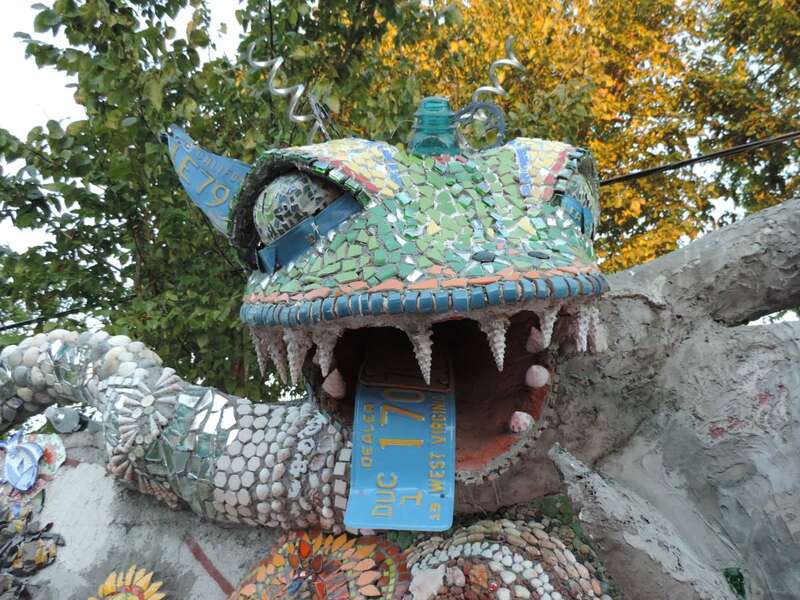 Technically these creatures were formed by human hands out of recycled material, glass and tile but they fill this block on Munger Street in the East End with whimsical life. 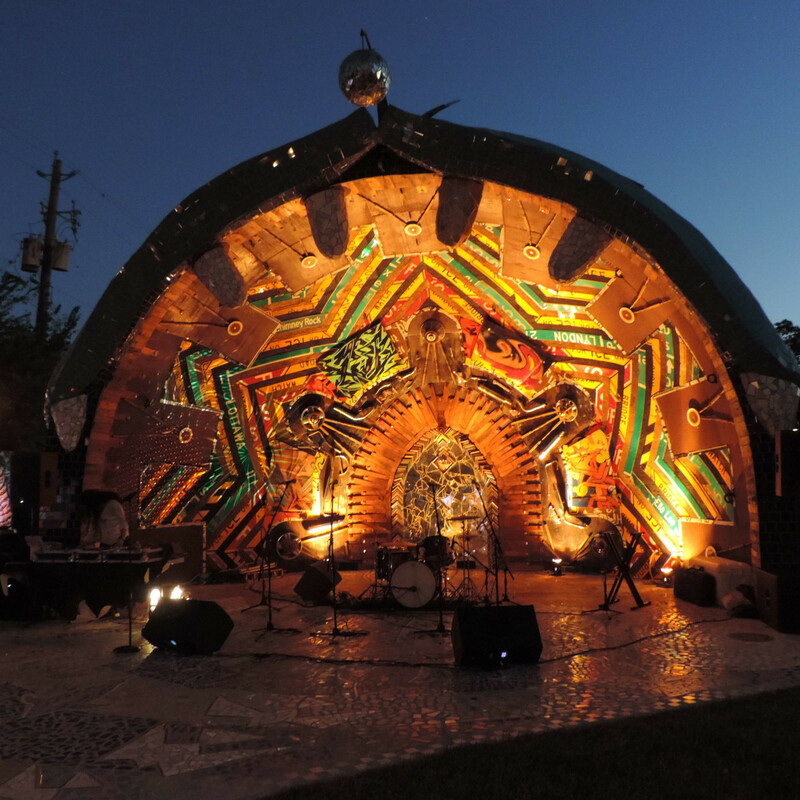 A years-in-the-making project from the Orange Show Center for Visionary Art, Smither Park recently officially opened with a celebration honoring all the artists’ work and especially the lives of the park’s namesakes, folk art collectors and longtime Orange Show supporters John and Stephanie Smither. 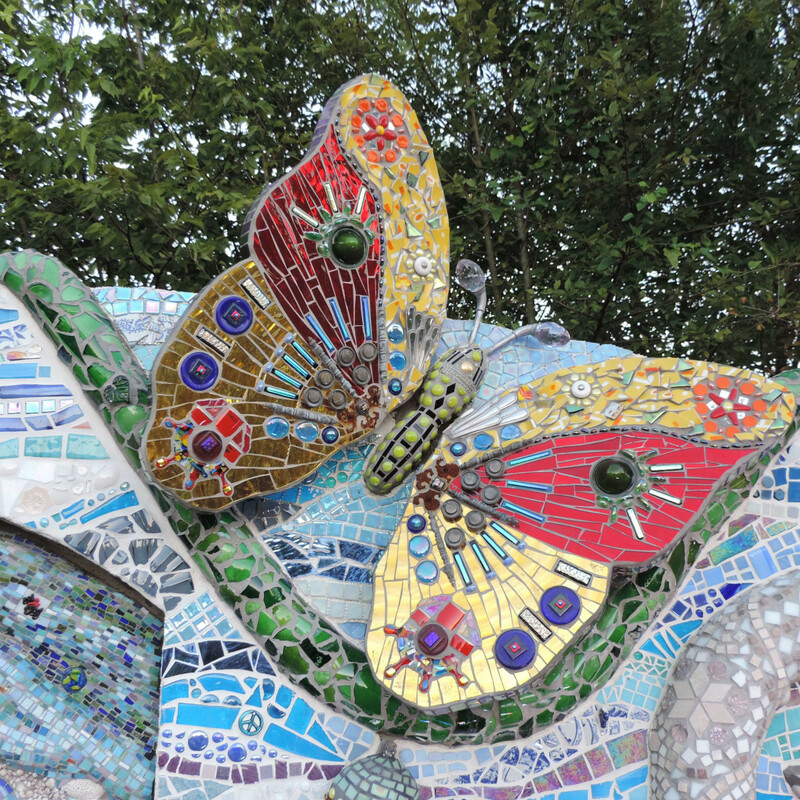 Before the party began, I had a chance to walk among the mosaic animals and mirrored trees on a guided tour with Smither Park designer Dan Phillips. 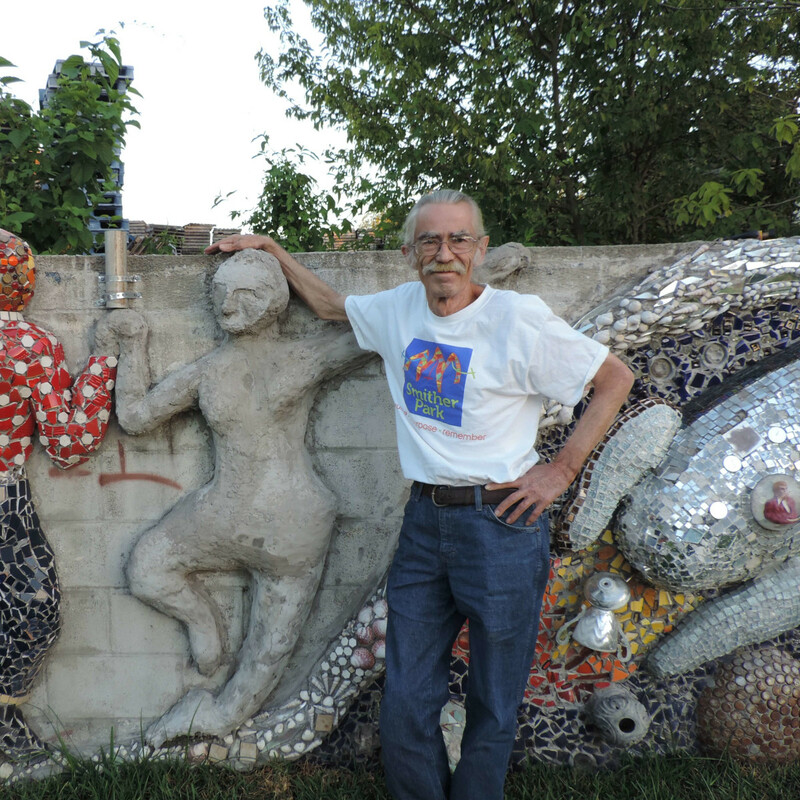 Though he immediately rejected my attempt to pin a renaissance man moniker on him, the artist and designer has at one point in his life also been a dance professor, cryptogram puzzle maker, antiques restorer, and nationally recognized builder and founder of Phoenix Commotion. 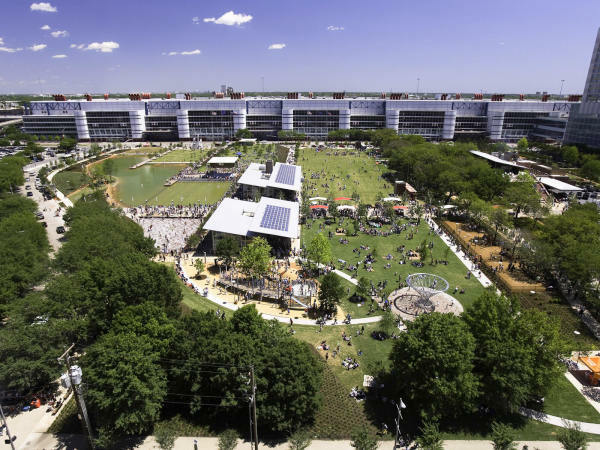 While Phillips and Stephanie Smither’s initial vision took root at the groundbreaking in 2011, Phillips has been a guiding presence the last five years as the park grew and blossomed. 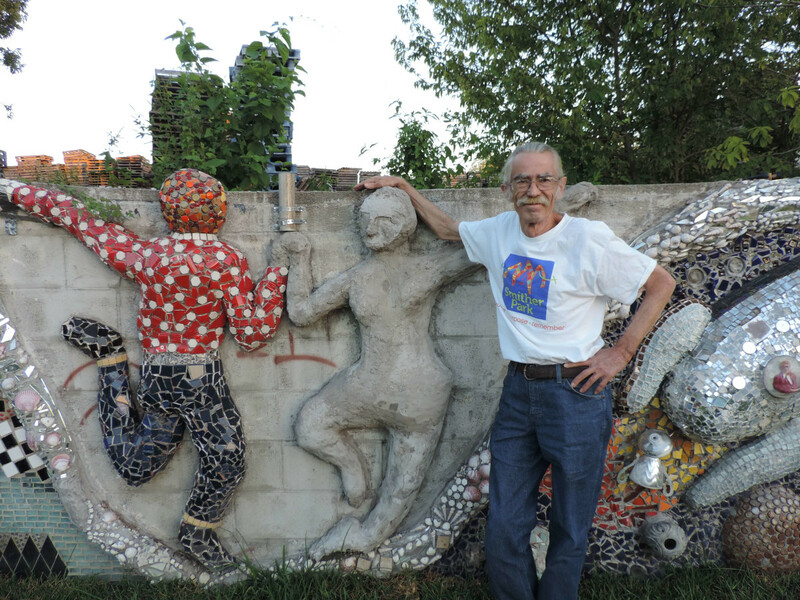 The cats in this scenario are the nearly 300 artists who contributed to the creation of the park, and Phillips' herding continues to take the form of offering guidance and encouragement to help the artists focus their unique visions. “I’ve been an ombudsman and a cheerleader. I try to just keep everything running smoothly,” he said. 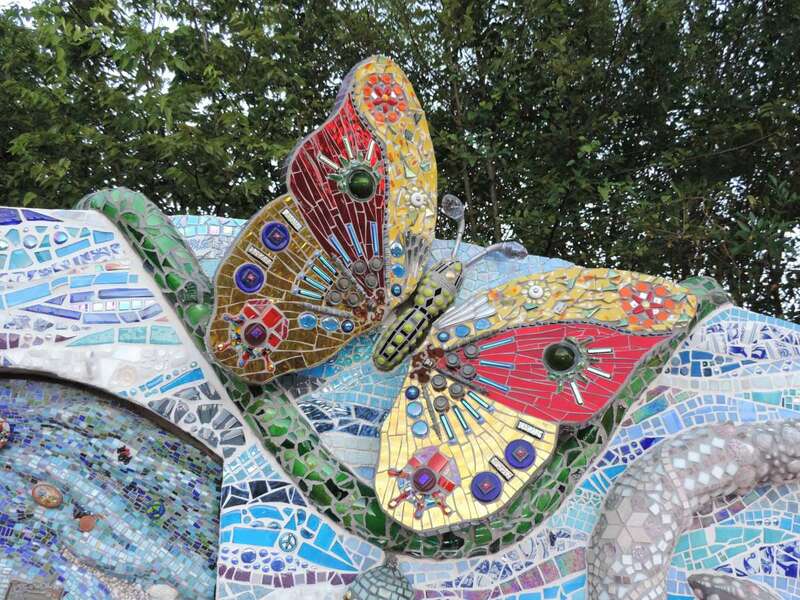 Art blooms everywhere in Smither Park with almost every inch of concrete destined to be cover in mosaic images. 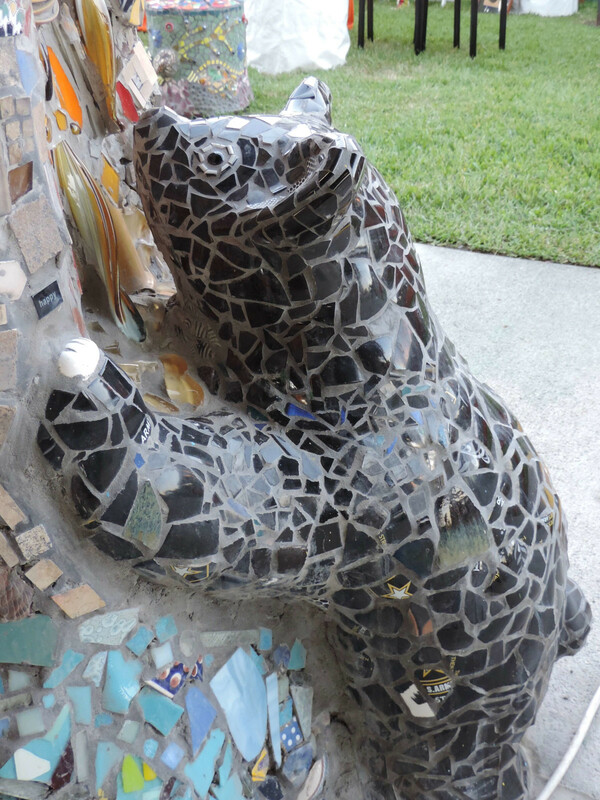 All of the park’s main elements use recycled and sustainable materials and each feature has a distinctive place and function in the park, while creating a sense of play and wonder. The Shell Plaza Walkways meander through the park parallel to the nearly 500-foot-long Memory Wall that stands as the back boarder to the park. Divided up into 60 panels for artists, volunteers and friends of the Orange Show to pay tribute to loved ones, remember beloved places or depict their dreams. 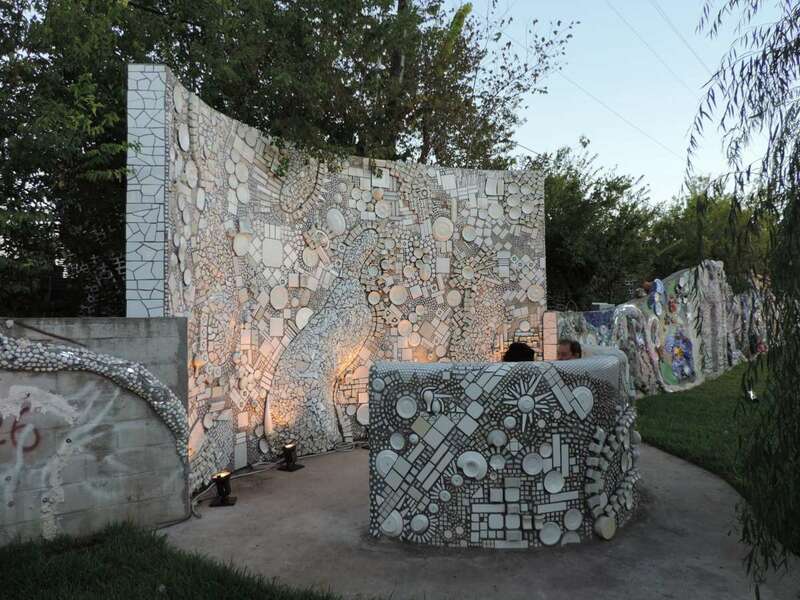 Near the middle of the Memory Wall the white porcelain and ceramics tiled alcove of the Marilyn Oshman Meditation Garden offers visitors a space for quiet pondering and still contemplation. 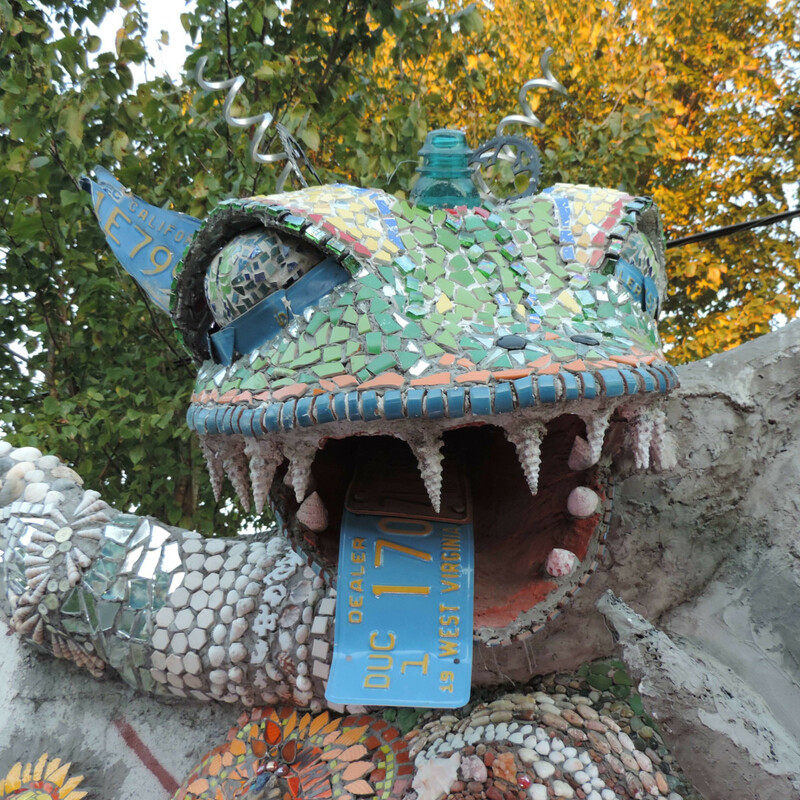 The giant fish mouth, the Lindley Fish, anchors the park at one end. 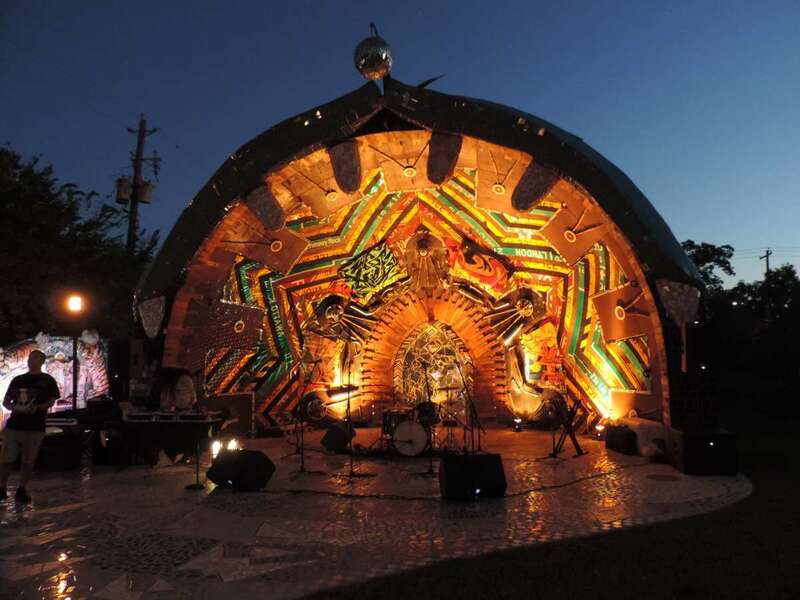 Designed and constructed by artist Matt Gifford the Fish serves as a bandshell for performances and concerts. In the middle of the park grows the four pillars of the covered Vinson & Elkins Pavilion. 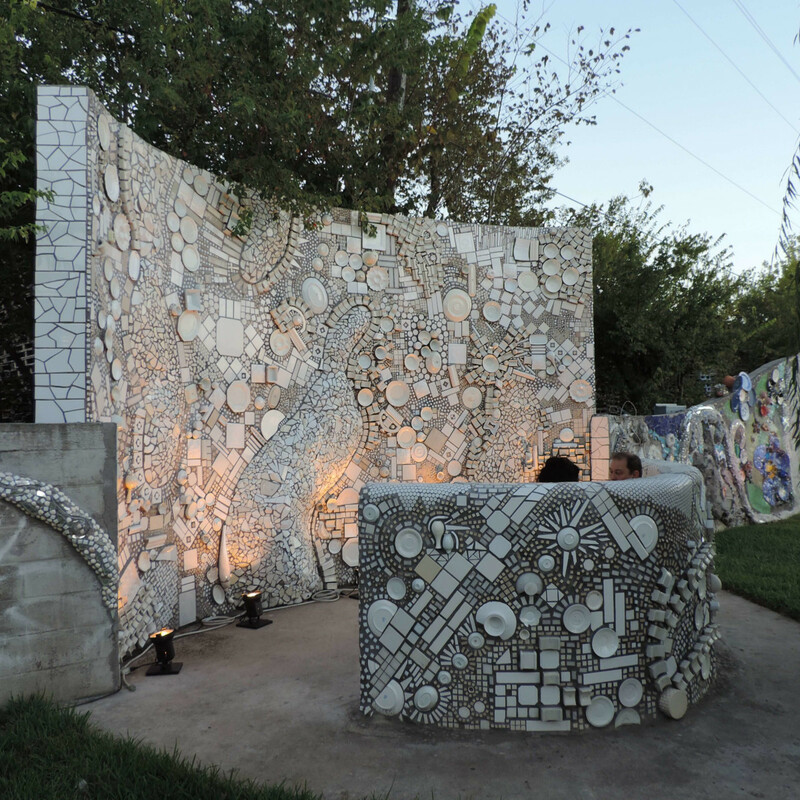 Each pillar shaped like a tree went to a different artist, and the structure will be available for rental for private parties and gatherings. Designed by Dan Phillips, The Johnson Marble Tower is still under construction, but Phillips’s descriptions of this marble drop conjured up for me images of a part interactive sculpture, part Rube Goldberg Machine that will likely become a favorite for kids of all ages. 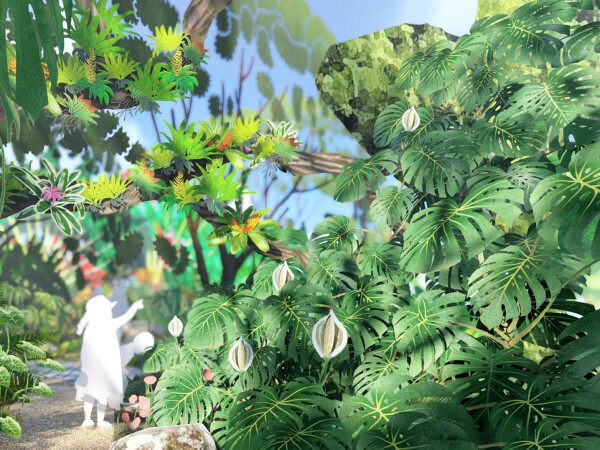 After playing at the Marble Tower, a whole family might relax and fit together on the large bench swings. 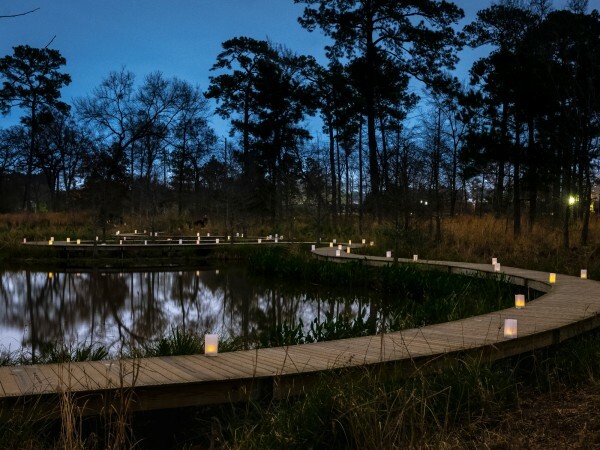 Throughout our talk, Phillips continued to credit the park’s fruition to the vision and drive of Stephanie Smither, who envisioned the park as a tribute to her husband, but passed away herself in June of this year. “It was a sad day when we lost John in 2002 and devastating when we lost Stephanie,” said Phillips but as he continued to describe the couple, I looked around and thought perhaps a bit of their spirit would live on in every blade of glass throughout the park. “What was so much fun about John and Stephanie was that they were willing to entertain the most outrageous of ideas and had the resources to do that. If it appealed to them as an adventure, they’d do it,” he described. Though now open to the public, some of the main features of Smither are still in sapling stages of growth, but that’s all part of the fun as volunteers, including those with no experience, can come on down and dig in every Saturday to help nurture the art of Smither. At the end of our talk, I asked Phillips if there will come a date when the park is complete and finished.